As seen on MSNBC’s All In with Chris Hayes! Get Bernie to the White House! 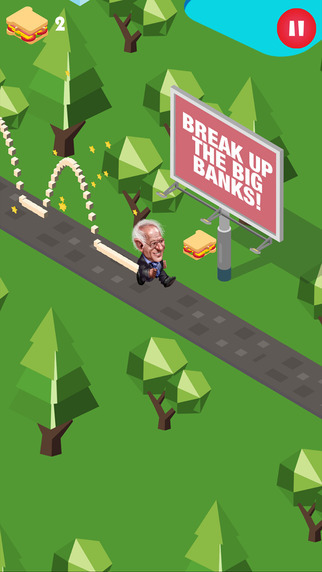 The popular #BernieSandwiches Meme is now an awesome addictive game! 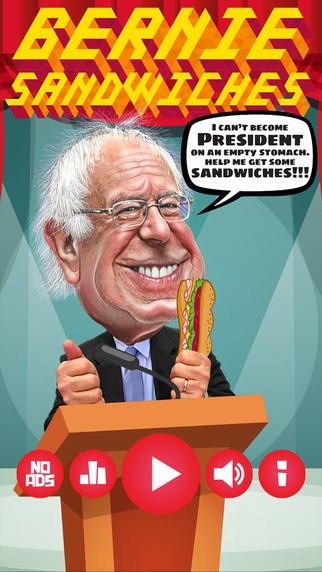 Bernie can’t make it to the White House on an empty stomach! 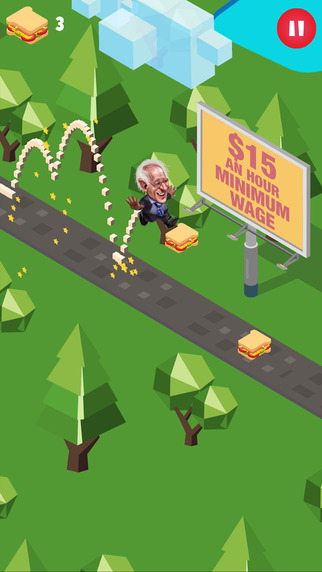 Help Bernie eat as many sandwiches as possible! The country depends on it! 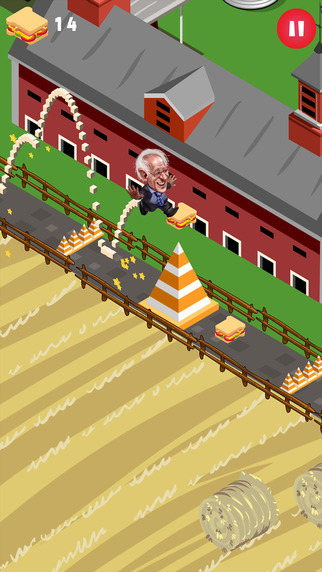 A portion of the profits made from the ads in this game will be donated to the Bernie Sanders 2016 campaign, so if you’re a Donald Trump supporter, but secretly love this game, you might be helping Senator Sanders :-). 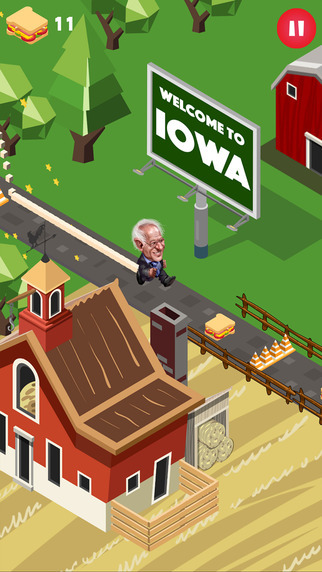 The Bernie Sandwiches Game is NOT AFFILIATED or ENDORSED by the Bernie Sanders campaign, but it would be pretty cool if it was. Am I right? Anywho, if you want to support the official Bernie 2016 campaign, go to http://BernieSanders.com and make a donation or volunteer.